Do you want to add a new layer of security to your valuables at the office? Electronic Key Management System might just be what you need. At Great Lakes Security Hardware, we don’t advise that you use conventional locks. With Electronic key management system you can add an extra layer of security to the things you treasure the most. For more information contact Great Lakes Security Hardware at (888) 855-6257. Are you in need of a door Maintenance expert? When it comes to keeping your commercial doors in good condition, you should find a reputable and professional door repair and maintenance company you can fully depend on. Contact Great Lakes security Hardware for your commercial door maintenance. At Great Lakes Security Hardware, our mission is to offer high quality and affordable Roseville access control system service to help businesses. Call us today at 888-855-6257 and we will help you take your business security to the next level. Do you want to replace your lock after a theft or did you break your lock somehow? Call Great Lakes security Hardware. Here at Great Lake Security Hardware we always here to take care of all your locksmith issues. Call us at 888-855-6257. Your home security should always be a top priority. You shouldn’t risk your family and valuables. It is essential to keep them safe. However, you might get locked out of your home. You step out of your home, shut the door, and lock it behind you. Later, you find yourself in a lockout situation and can’t access your home when you come back. Fortunately, Great Lakes Security Hardware offer emergency home lockout services, Roseville and they can assist you. Our locksmiths are ready to help you access your home as quickly as possible. Our trained and fully equipped locksmiths can fix all problems that are common culprits in home lockouts. We will fix the problem that led to your home lockout efficiently and effectively. Of course, we don’t want to keep you waiting for help outside your home. Our locksmiths will use the imprint of your door lock to create a new key if your keys are stolen, lost or damaged and you don’t have a spare key copy handy. Here at Great Lakes Security hardware, we can also disable your faulty alarm system to let you in and then repair it immediately. We always carry professional replacement parts for rusted keys or door locks in our mobile locksmith van, and it only takes minutes to install. If the inner workings of the locking mechanism of your door locks are frosted over, our locksmiths will remove the frost without damaging the door. We will lubricate your lock adequately to ensure it won’t get stuck for the remainder of winter. If you’re locked out of your home for whatever reason, call our 24/7 hotline, and our professional locksmiths will come to your place to fix the problem and unlock the door on the spot! You can rely on our 24/7 home lockout services, Roseville. Anybody can find him/herself in a home lockout situation! Your front door can shut behind you when you step outside the door for just a minute. You will need quick Roseville home lockout services. Luckily for you, you may have a phone in your pocket or a friendly neighbor who will assist you with his or her phone to call our 24-hour locksmith hotline and get you back in your warm and cozy home within 30 minutes! The last thing you want is a frustrating experience of being locked out of your home! You are not only stuck outside, but your schedule is on hold! You have to prepare for meetings, pick up kids, go shopping, and get some work done…and you are stranded outside your home. Don’t panic. Here is a simple solution: Call us for the quickest home lockout services in Michigan! Our nearest locksmith will arrive at your home in less than half an hour and unlock your door in seconds. We can also repair and lubricate your locks, make you a spare key copy and if necessary, install a peephole while we are there, but we can come back at a more convenient time if you are in a hurry to get back to your day. That is okay because our Roseville locksmiths are available day and night for any locksmith jobs. If you’re locked out of your home now, Great Lakes Security Hardware can send locksmiths immediately to unlock your door to let you in. Call us now at (888) 855-6257 for you home Lockout Services. We understand the frustrations of being locked out of your home, and therefore, our nearest Roseville locksmiths will be there to assist in less than 30 minutes! 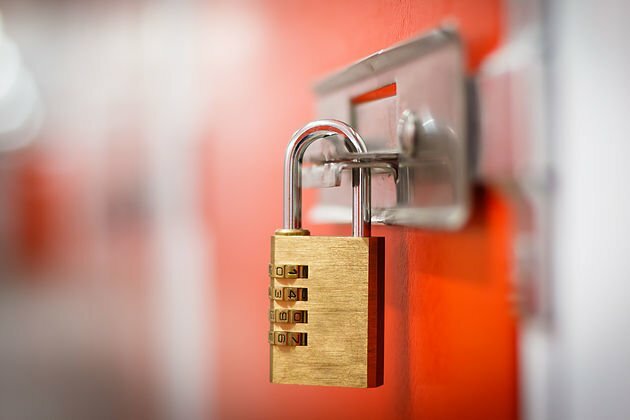 Our Roseville lockout specialist are highly trained in all lockout emergencies, including opening locked safes. Contact Great Lakes Security Hardware and we’ll dispatch a Roseville lockout specialist to handle your emergency. Locked out of your safe? Call us today at 888-855-6257.